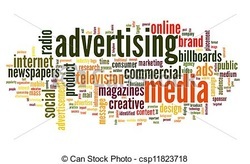 ﻿There are two main paths in advertising. You can work on the creative side or you can work on the account side. Also, think about whether you want to be "in house" at a corporation or at an agency with multiple clients. Agency life is ideal if you like a lot of variety each day. If you prefer to focus within one industry and one corporate brand, consider corporate positions.